Cambodia is Europe. When analyzing the structure of foreign trade of this distant country, approximately such a slogan makes sense. When presenting our country at the international forums, our officials show optimistic videos, in which Mriya supercarrier successfully takes off, constructed yet many years ago, and rockets, which has long been a legend rather than a reality, overcome the power of the earth. The benefits of such cheating are like blowing a bubble: investors easily fall into cognitive dissonance, being unable to link the technological successes of our past and the terrifying quality of our today’s’ business environment. Therefore, Ukraine, at best, manages to beg for either grants or loans. In fact, the experience of countries such as Cambodia shows that at the stage of economic restructuring, the main thing is to ask for the trade preferences, not to constantly beg for money. For comparison: Ukraine, which has concluded an agreement on the creation of a free trade zone with the EU, can duty-free supply some types of its goods exempt from taxation within the framework of special quotas. Everything above the quota is subject to the established duties. Only within the framework of the Pan-Euro-Med agreement, countries in the peripheral trade zone with the EU might benefit from the so-called horizontal / cross-cumulation, when the shirt, made of Egyptian fabric and sewn in Ukraine, will be considered in Europe as a product released in compliance with the EU’s localization. 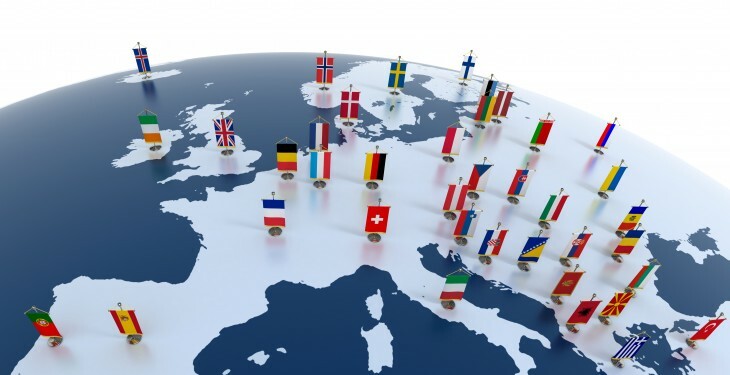 EBA program countries practically do not experience difficulties. Nevertheless, the economic incentive lever of the EBA influences the developing countries much more efficiently than the free trade zone format. During the EBA regime, Europe has become Cambodia’s main trading partner. The European market accounts for 40% of Cambodian exports. The trade turnover between this country and the EU has reached 5,86 billion EUR per year, with exports of goods from Cambodia to Europe amounting to 5,7 billion, and imports of European goods have reached only 0,16 billion EUR. Cambodia has a positive trade balance with the EU at almost 97% of turnover! And now let us compare these data Ukraine’s indicators: in 2018, the European market share in the structure of our exports was 37.6% (according to the data from Ukraine’s National Bank), exports reached 16,3 billion USD, imports were 20,6, negative trade balance for our country amounted to 4,3 billion USD on the minus side. Small Cambodia, with little economic and even raw material potential, managed to supply 5,7 billion EUR, or 6,5 billion USD, to the European market, while the entire economic potential of our country managed to “generate” only 16 billion. The population of Cambodia is 14 million people. Cambodia's GDP over the past five years has grown from 900 USD per capita to 1,400 USD. In the 2018 ranking, this country ranks 153rd in terms of the world GDP. Ukraine is the 132nd with a per capita gross domestic product of 2,400. Bangladesh stands in the first place in the group of EBA program countries, which has sold its goods for 15,6 billion EUR on the EU market. In total, Bangladesh and Cambodia account for 84% of the commodity supplies under the preferential program of access to the EU market. Ukraine had an excellent chance to get the same preferential access to the European market in 2014-2015. Now, in order to activate such a profitable trade regime, we will have to “wait” for a new economic crisis. » In what sectors should Chinese or American invest to get profit in Ukraine?